Fan engineering is in our DNA. Elta Trade have a history of being committed to constantly improving, innovating and leading the industry in ventilation solutions. Our scope of work has included fans fit for global mining facilities, defense force ships and landmark buildings. Rather than making a product geared towards how much profit it will yield, we engineer fans to be the most energy efficient and best performing product on the market, fans we can be proud of. 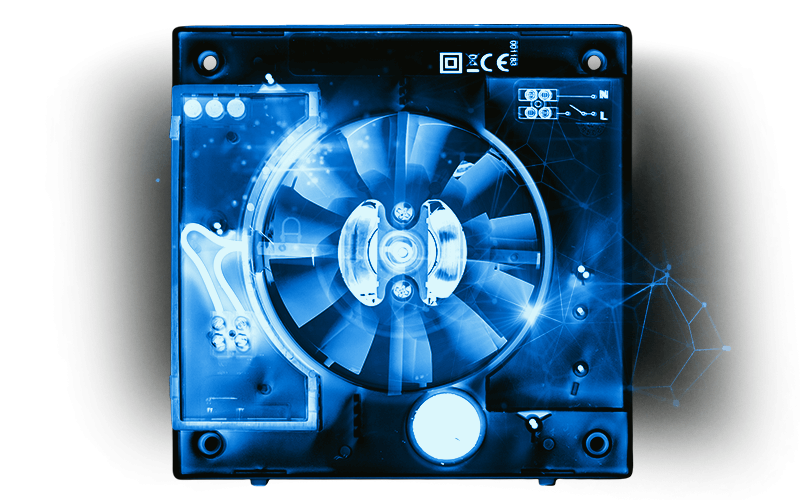 We ensure rigorous, accurate testing takes place in the world’s most sophisticated laboratories resulting in a market leading fan, built to perform with a quality that will last. Our team have taken the same quality, experience and technology and produced fans fit for the home or business. As a leader in the air movement and ventilation industry we have created a new standard for fans which are now available to the everyday user. We believe in creating ventilation products that not only work, but surpass all others. 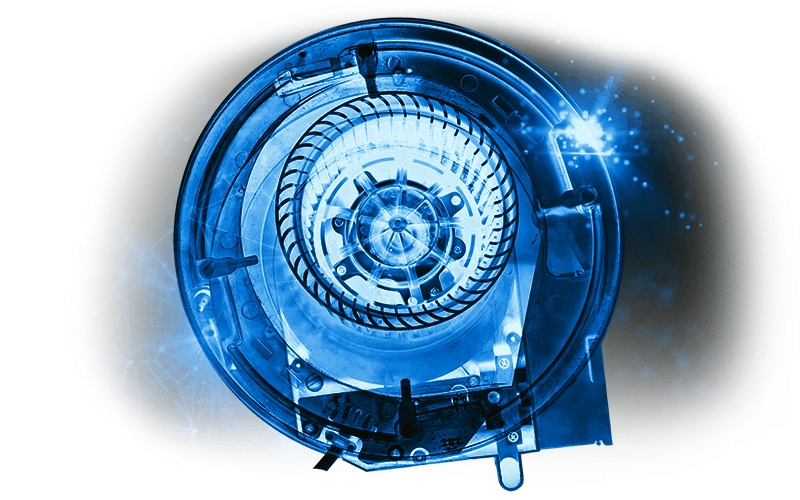 Apex Air Science means that every aspect of the fan has been designed, developed, optimised and manufactured by true fan engineers with careful attention to every detail. Some elements of Apex Air Science include specialised impeller, powerful long lasting motor technology, aerodynamic design for maximum airflow performance and intuitive features for easy installation. Look for the Apex Air Science icon on our products to experience it for yourself. Modern ventilation on a whole new level, the Quasar fan is truly an ultra quiet extract fan that exceeds all others. Designed and developed in one of Europe’s most sophisticated Air Science laboratories. Over two years of product development and countless prototypes has spawned a new breed of domestic fan performance. The motor is rated to last more than 30,000 hours (some fans last only 3,000 hours). One of the stand out features of the fan is its powerful performance while only emitting noise levels of 26 dB(A). This makes it one of the quietest 100mm fans in the world. We know this fan has been built correctly with only quality components. This means we can offer a groundbreaking 5 year warranty. The body has been manufactured in Italy using a specially designed composite structure which absorbs the majority of any vibration emitted by the motor whilst maintaining high rigidity. The front grille, bladelet impeller and guide vanes have been aerodynamically engineered to allow air to flow in and through the fan with minimal possible resistance, resulting in smooth and quiet operation. Our Italian made motor has a high electromagnetic efficiency making our fan up to 50% more efficient than a traditional AC domestic fan. As air hits the impeller it starts to spiral through the fan in a rotational direction. The angled guide vanes straighten out the airflow which increases the static pressure and efficiency of the fan, resulting in optimised performance. From our global team of fan engineers we’ve crafted a ceiling exhaust fan like no other. Never before has a ceiling fan had so much engineering and time invested into it. Two years of design and development have resulted in the most powerful fan in its class with the quietest noise levels. Every element of the unit has been optimised for peak performance and enhanced efficiency. We have designed the fan with both the installer and homeowner in mind, it is extremely easy to install and a performance you can rely on. All parts of the fan have been aerodynamically engineered to allow air to flow through the fan with the least possible resistance, resulting in powerful performance matched with smooth and quiet operation. The inlet has been shaped to provide the smoothest entry for air and the expansion chamber is situated in the optimum position to guide airflow out. Specially designed toughened forward curved centrifugal impeller with an optimised variable radius inlet path. Blades positioned at specific angles and intervals to achieve maximum airflow and efficiency resulting in more power, less noise and a long life span. The fan has a strong backdraft shutter as standard. Our technical team have enhanced it to be as silent as possible. It adds minimal resistance and requires no power to operate. Dynamically balanced motor with hardened steel shaft and sealed for life silicone ball bearings in the motor guarantee an extra long life span matched with high speed operation and performance. Even the additional grilles have been aerodynamically engineered to allow air to flow into the fan with minimal possible resistance, resulting in smooth efficient airflow and low noise levels.